Spring is here, summer is just around the corner, and Faithful Farm is 100% planted with summer goodness! It’s been no small undertaking. After harvesting the remaining winter vegetables – our final haul weighed in at just over 100 pounds – we began the laborious process of preparing our soil for summer planting. 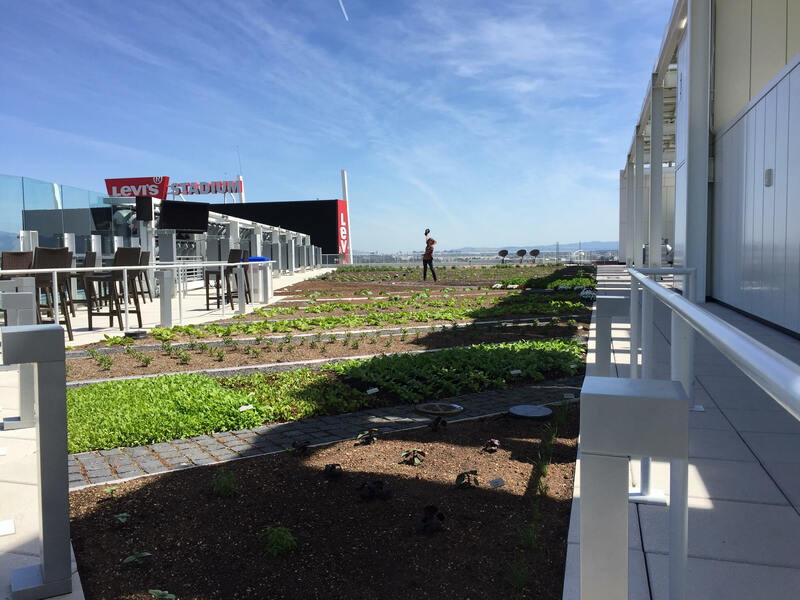 We added 14 pallets of high-quality organic compost and potting soil to rejuvenate our beds – did I mention we are 9 stories up?! We also added approximately 600 square feet of new planting space, which will soon be planted with pumpkins and melons. We cannot wait for the fruits of our labor to start… fruiting. We’ll have (drum roll, please): 13 varieties of peppers, 7 varieties of tomatoes, 5 varieties of eggplant, 3 varieties of summer squash, 3 varieties of winter squash, 3 varieties of basil, 3 varieties of cucumber, 2 varieties of melon, chard, amaranth, purslane, several edible flowers, and all of the classic cooking herbs, plus a couple of unusual suspects like shiso and garlic chives. Chef Dinari Brown challenged us to provide a bunch of Caribbean-inspired flavors to complement his cooking. With that in mind, we sourced unique peppers from Just Struttin’ Farm in Marin County, including Brazilian Starfish, Scotch Bonnet, Tobago and the Trinidad Scorpion pepper. We’ll post photos of these beauties as they grow in. 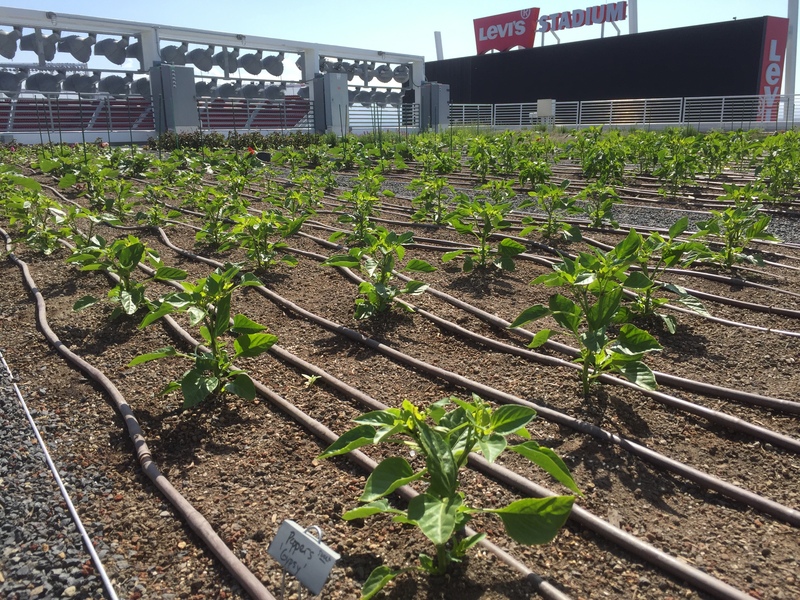 Check back in this summer to learn more about the varieties on the roof and our most prolific producers. In the meantime we’ll be… planting, watering, weeding, staking, trellising, fighting off cutworms and crazy wind storms. Happy spring gardening y’all!